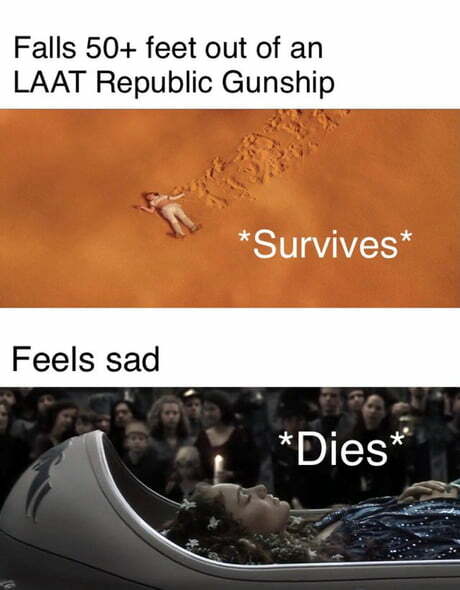 Well, there's another race I heard of that is physically resilient but extreme sadness can kill them. 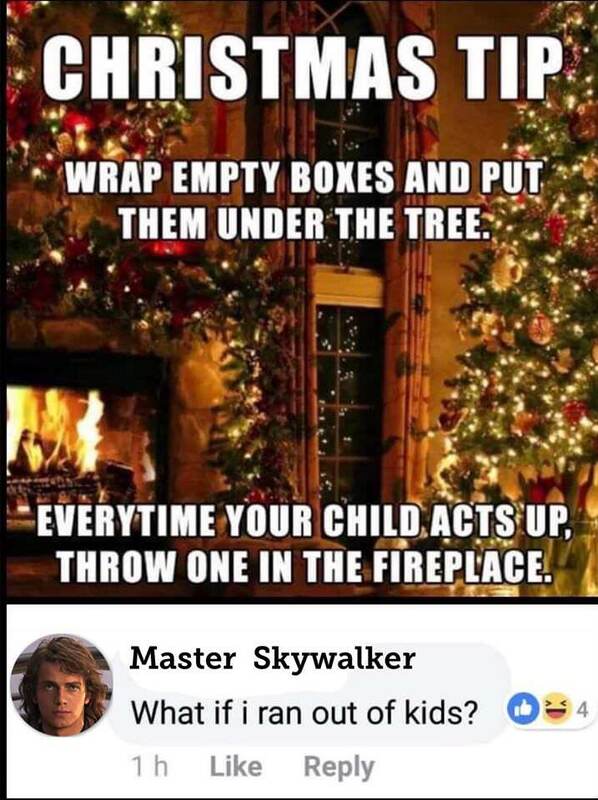 Maybe Padme was part Tolkein elf? You may be on to something there... she did have a silver ship. In honor of R2-D2 (and L3). Me either. That little droid saved everyone's bacon and he got a pat on the head and maybe an oil bath. 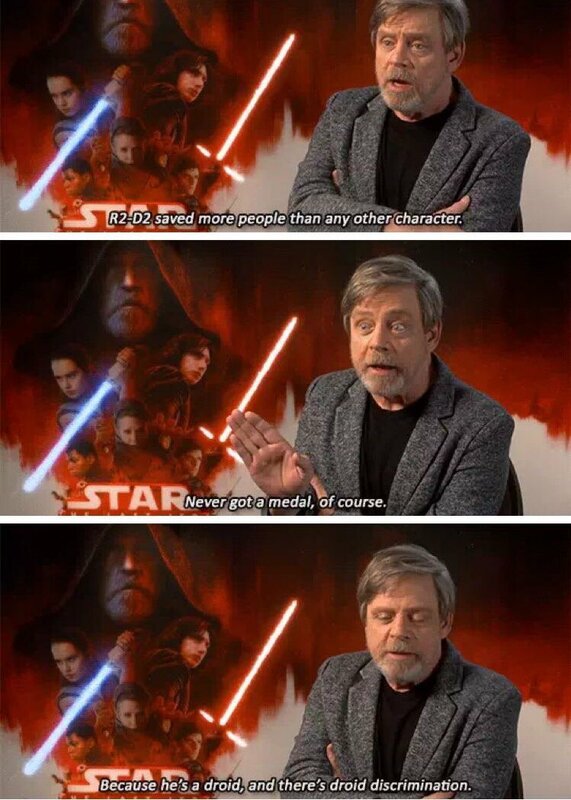 I don't know if droids are actually discriminated against because they're property and not all of them are sentient, but the ones who are face an uphill battle. He got a really good repair job a few times. 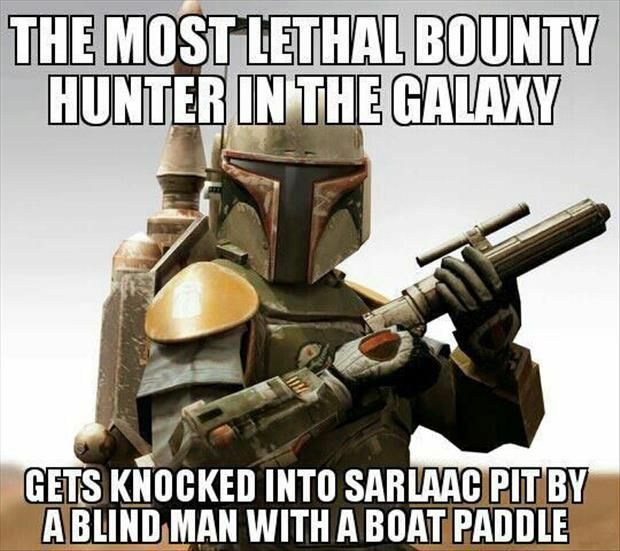 And I'm sure Anakin modded the hell out of him, but he was a kick @$$ little droid even before that. Both of my groups are dealing with manumitted droids (a PC in one group, the other an NPC), and so far have dealt with them as if they were just people made of metal and plastic rather than flesh and bone. Hell, one group has adopted a Binary Load Lifter because he gave them a sad "negative" beep because he couldn't follow them up the stairs. Beep is now part of the crew and has been heavily modified by Rebellion R&D, but is still a Binary Load Lifter, with all that entails (mainly being a IRL Robot with a few extra add-ons.). Never tell me the odds, Mr. Spock! 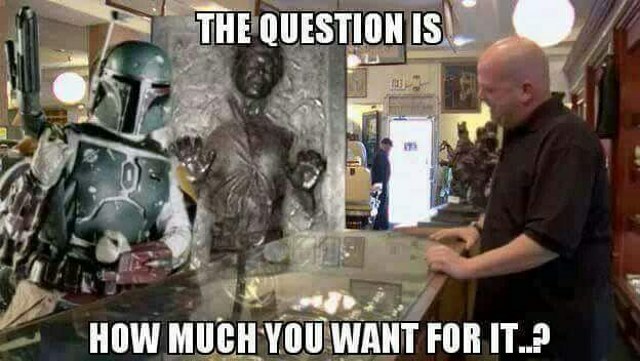 "That lightsaber. It belongs to me." Concerning the Millenium Enterprise, it doesn't piss me off per se...I just find it a bit odd and oddly awesome at the same time. 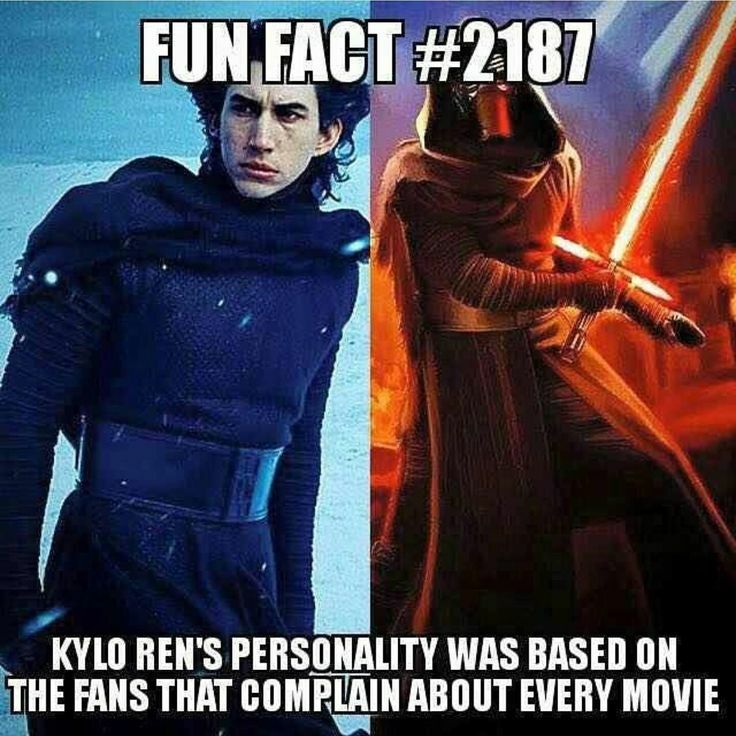 As for Kylo Ren's personality being based on unpleasable fans...yeah, that's plausible. 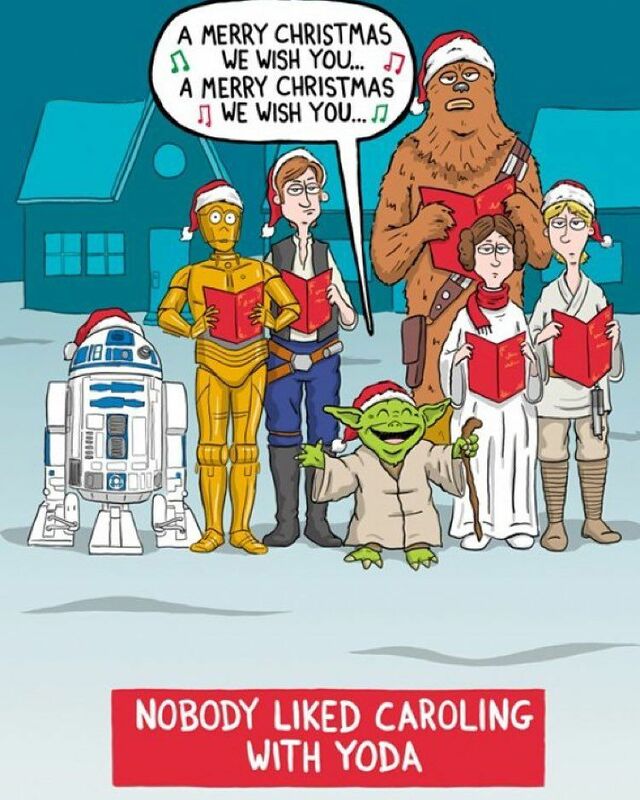 On Yoda's caroling, I can see how unconventional syntax can be problematic for that sort of thing.